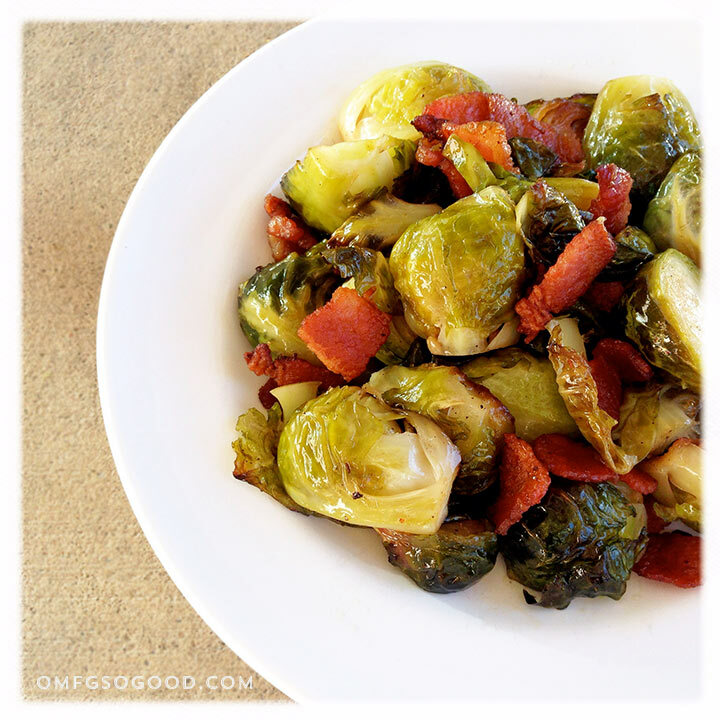 honey & bacon roasted brussels sprouts | omfg. so good. I remember eating a lot of brussels sprouts as a kid. Let me rephrase that: I remember being forced to eat a lot of brussels sprouts as a kid. I remember my mom used to pan fry them, then pour a can of cream of mushroom soup over the top and slowly simmer them, which now sounds pretty friggin’ good. They’re one of those foods I wish I appreciated more growing up. Now, I eat them quite often. They pair amazingly well with a perfectly cooked oven roasted chicken, especially when slow roasted, tossed in bacon drippings, then finished with a caramelization of honey and crispy bacon. Super simple. Mega-flavorful. Jam-packed with cancer-fighting glucosinolates. Yeah, I’m getting all scientific on your booty. But seriously, they’re really good for you. You should probably eat some today. Then thank me tomorrow. Preheat the oven to 450 degrees. Rinse and trim the brown ends and loose yellowed outer leaves from the brussels sprouts, then cut them in half, and set them aside. Chop the bacon slices into 1/2 inch pieces, then cook until just crisp in an oven proof skillet over medium-high heat. Transfer the bacon pieces to a paper towel using a slotted spoon. Drain the bacon drippings, reserving 2 – 3 tbsp in the skillet. 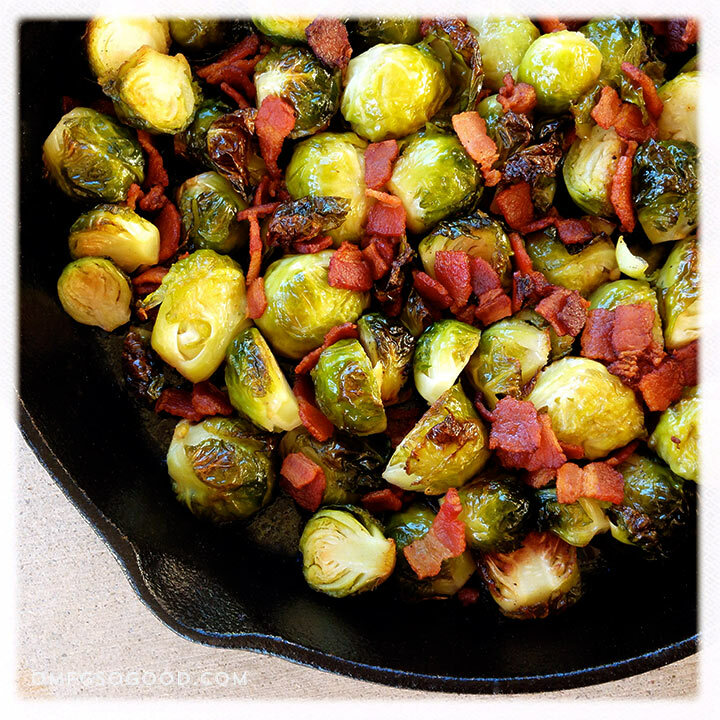 Add the brussels sprouts to the skillet, sprinkle them with the salt and white pepper, and toss to evenly coat them in the bacon drippings. 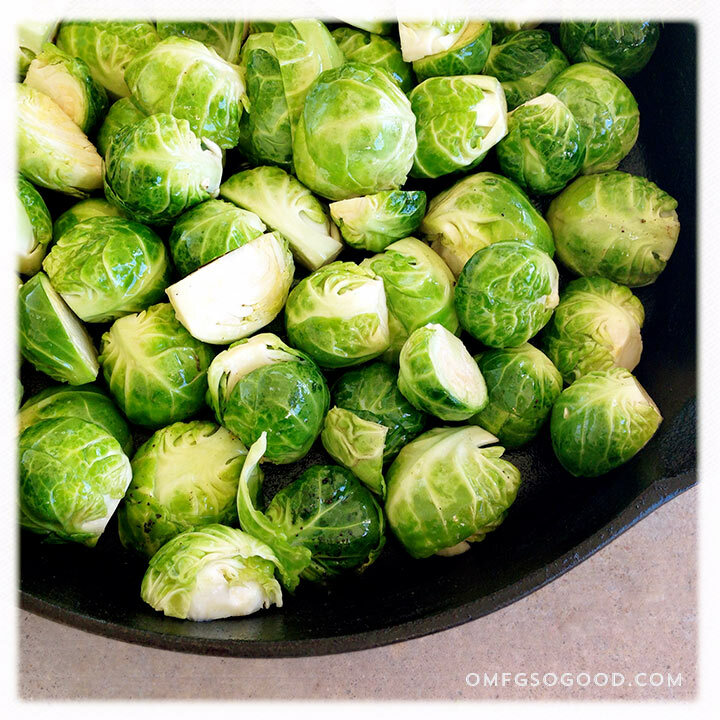 Roast the sprouts in the preheated oven for 20 – 25 minutes, or until softened and toasty. Carefully remove the pan from the oven, add the cooked bacon bits and drizzle with honey. Toss to evenly coat and combine.